Day by the Bay is a family-friendly beachside festival to help people build strong relationships with our Bay while having a great day out in a beautiful spot along Melbourne's coast. The day will feature an amazing lineup of live music, food and drink from local vendors, sustainability-focused market stalls, free nature-based activities and a public art demonstration. The heroes of the day will be the local community and conservation groups who are passionately devoted to protecting the Bay environment and its inhabitants. Bring your picnic blankets and enjoy a fun day out lazing by the coast in one of the world’s most important bird protection areas. Day by the Bay is aiming for zero-waste! Please bring along your keep cups and reusables and help care for our precious marine life. Day by the Bay has entertainment, education and activities for every member of the family. This event is alcohol-free. Day by the Bay will feature a lineup of local live music all day long, so bring a blanket and head over early to snag a good spot by the stage. Experience a live ice carving demonstration and participate in nature engagement activities. Watch an incredible digital photography exhibition and chat to our friendly community stallholders to learn more about your bay and its inhabitants. Street food, coffee, doughnuts and incredible vegan smoothies. Don't forget to bring your reusables for discounts! There will be a water station to fill bottles. Bring your shopping bags and browse some beautiful wares from local artisans. Mojo Juju brings smooth brassy swagger to the stage with her revolving line up of backing musicians. Mojo's current full band ensemble features her brother, Steven Ruiz de Luzuriaga along with Darcy McNulty (Clairy Browne & The Bangin' Rackettes) on Baritone Sax, and several members of Melbourne-based instrumental soul group The Cactus Channel. The Orbweavers spin stories of the land with mesmerisiing folk-country vibes. Drawing on a love of history and science, The Orbweavers have charmed audiences with evocative songs featuring their native environment, from creeks & quarries (Merri), to historic sewerage pumping stations (Spotswood). Dark and dulcet melodies with chiming guitar, violin and trumpet meld to hypnotic effect, recalling reverberant ghosts of places past. This Melbourne four-piece is not afraid of making a bit of noise. Screaming vocals and raucous guitars bring the days of punk-rock back to life. The members of this all-female group have a deep appreciation for the special thing they've created. After playing in male-dominated groups for years, they're here to bring some female ferocity to the fore. Jess Ribeiro shows what a girl and a guitar can do on stage, with songs spanning alt-folk to acoustic indie-pop. Her lyrics evocate the poetry of the everyday, set to catchy chords and rhythmic riffs and delivered with a vocal style that is understated yet quietly haunting. Folk diviner Leah Senior charms audiences with brooding ballads and hypnotic vocals. Lyrical poetry is fused with slow, entrancing guitar sounds in a style that pays homage to folk roots as well as the pop songstresses of the 70s. Leah's distinctive voice also features as the narrator on local band King Gizzard's album Murder of the Universe. Way Dynamic promises hard-hitting harmonies and experimental off-beat arrangements. Led by songwriter and multi-instrumentalist Dylan Young, the band will play songs from their recent debut EP release, What's It All For Now. Young isn't one to sit too long with a song, having written and recorded all of the tracks in the space of just a few days, in his Carlton bedroom. 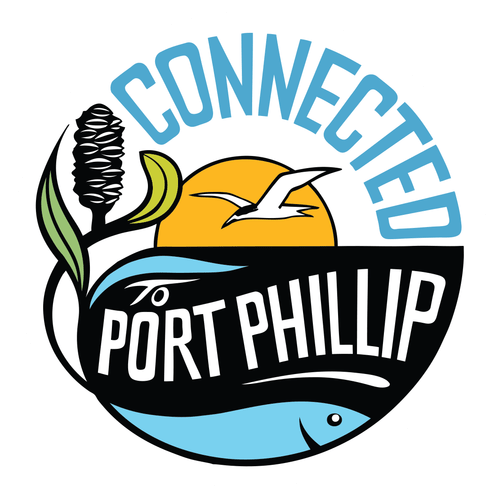 Public transport to Point Cook Coastal Park is limited. A free shuttle bus will be operating on the day running back and forth between Williams Landing train station and the festival site. So bring a book or grab your friends, jump on the train and we’ve got you covered. The first bus will leave Williams Landing station at 12 p.m. and will run continuously until 7:30 p.m. If you choose to drive to the festival, please consider gathering your mates together and coming down in the same car. Good vibes, car tunes and better for the environment! Parking is available within the park, but it may become a bit of a walk once the car park fills up a bit. We suggest that those who enjoy riding their bike might like to catch the train to either Williams Landing or Hoppers Crossing stations and then ride 10–11 km to the park, where there are places to lock bikes up. Come for the festival and stay for the weekend! Snack and lunch guilt-free with the team at B-Alternative and these awesome foodie bosses who have gone the extra mile to make sure their delicious fares are plastic-free: NZ Street Food, Smoothee Operator, Cerminara Ice Cream, Quintessence, Fork Mama, Honey Dee, Miss Love-A-Donut, DG Food Co.
Alternatively, you can hire one of these amazing kits from B-Alternative on the day. Pay $15 and get $10 back when you return it to the B-Alternative tent. There will be no single-use plastic at our event. Our food vendors will be offering sustainable alternatives. Be sun smart! Remember to Slip, Slop, Slap and Slide. Choose tap! At Point Cook Coastal Park there are plenty of taps and drink taps to refill from. Bathers, snorkel and sandcastle gear! This is Day by the Bay, so why not come down early and head to the beach for a swim or a spot of beach cricket before you mosey up to the festival at 12 p.m?